In early February 2012, my 2nd book Stealing Wishes was available free on Amazon Kindle for 5 days. It was downloaded over 1,000 times. Two different readers commented on how they liked the secondary character, Auden, more than the lead character named Blaine. I have rarely considered writing sequels to my books and have never left any of them intentionally open for a sequel, but their comments got me to thinking. What if I told Auden’s story in a new book? Shortly after the free promotion wrapped up, I sat down and did what I always do. I started writing the story right from the beginning. Both of my previous books were written start to finish, from beginning to end, each in about three months. No outline. No notes. Just dive right in. Apparently, Auden had a lot to say because the story just came pouring out. In the first two weeks, I’d written almost 20,000 words – a 4th of the book since I usually shoot for a minimum of 80,000 words. The title of the book is “Feeling Himself Forgotten” which comes from a quote by poet W.H. Auden, from whom Auden got his name. There are many references to W.H. Auden in Stealing Wishes because of his relationship to author Christopher Isherwood, who also had a profound effect on the details of the book. W.H. Auden will play a very important role in this new book as well. 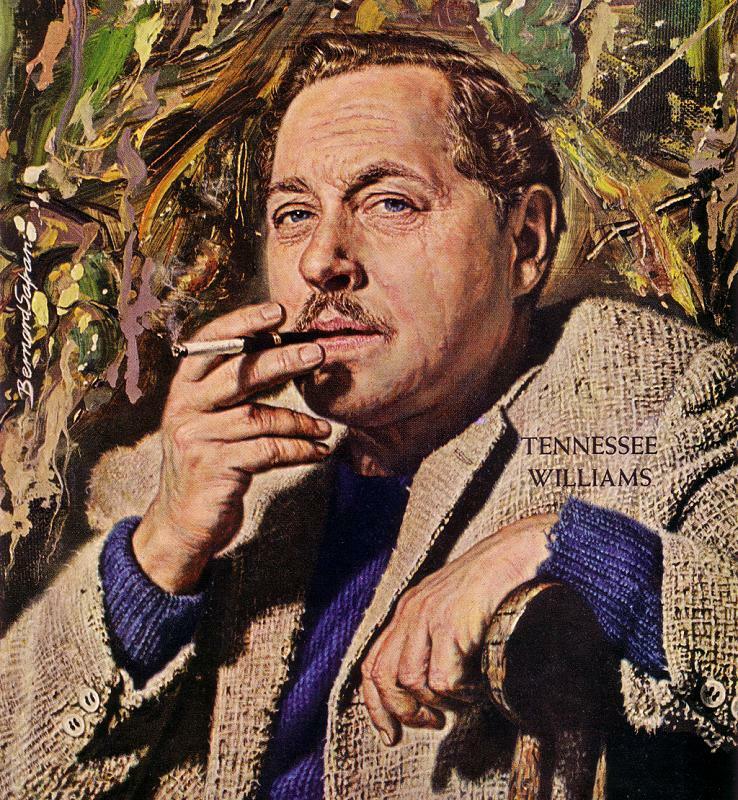 However, one writer that plays an even bigger role in the new book is Tennessee Williams. I’ve always been fascinated by Williams and the often tragic life he led. Researching him has given me quite a bit of inspiration for Feeling Himself Forgotten, so much in fact that he will actually make an appearance in the book, in “spirit” at least. Look for more details about my exciting new book, Feeling Himself Forgotten, to follow this year! 5/28/12 UPDATE: As of Memorial Day, the first draft edit is done! A few weeks ago I printed the book for the first time so I could read it from start to finish. I made some notes, crossed through a bunch, checked for spelling and other errors, and I finished the first read through today! What’s next? Now I go back and make the needed changes, reworking the manuscript based on my notes. I’ve still got several chapters to rewrite near the end to polish up what will be the main conflict of the story. Then, I’ll print a new copy and read it again. 4/14/2013 UPDATE: Yep, it’s been almost a year since I updated you on this project. Sorry about that! So what happened? Well, last June another idea for a book popped into my head and was begging to be written, so I stopped to do just that. And it turned into such a wonderful experience for me that it’s going to be published this October by Rocking Horse Publishing company. I just turned in my final edit of it last week. So now what? I’m returning to this project and hope to release it next year. I’ve already started rereading the manuscript and it still feels just as good as it did when I started it. For the next five days, I’m running STEALING WISHES for free on Kindle again to celebrate. Enjoy! And check back soon for more updates on the sequel! 4/25/15 UPDATE: Ha! Look at that. It’s officially been just over two years since the last update and boy, so much has happened! In late 2013, Feeling Himself Forgotten found a home with a micro publisher who only does E-Books. I signed a contract with them in February 2014. The book was tentatively scheduled to be released later in the year and then got pushed to Spring or Summer of 2015. Last week I sent them a letter asking if we could cancel the contract. It turns out they’d been wanting to pull out too because their personal schedule and work life was demanding too much from them (the micro publisher is basically two people!). So with the contract canceled, the book is back in my hands and will be coming out in a few months! 6/21/16 UPDATE: It’s finally here! Yep, another whole year has passed but I’m not lying this time. The book became available for pre-order this week on Kindle and the paperback edition will follow next month. The release date for Kindle is July 1st. Looking back on these updates, it’s been a long road to get here but I’m so glad we’ve finally reached this point. This is a fun little simple book, but it’s been a tough one to wrap up. Now we are just days away from the release! Thanks for your patience and support. I hope you like it.